For Use With 999SD, SDA, 966, 968, 988, 988D, LF-8800K Soldering / Desoldering Station. Tip for this iron are 44-915410, 44-915412 and the 44-915415. 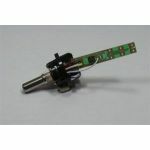 Choose a Xytronic DIA60A Desoldering Iron Today.